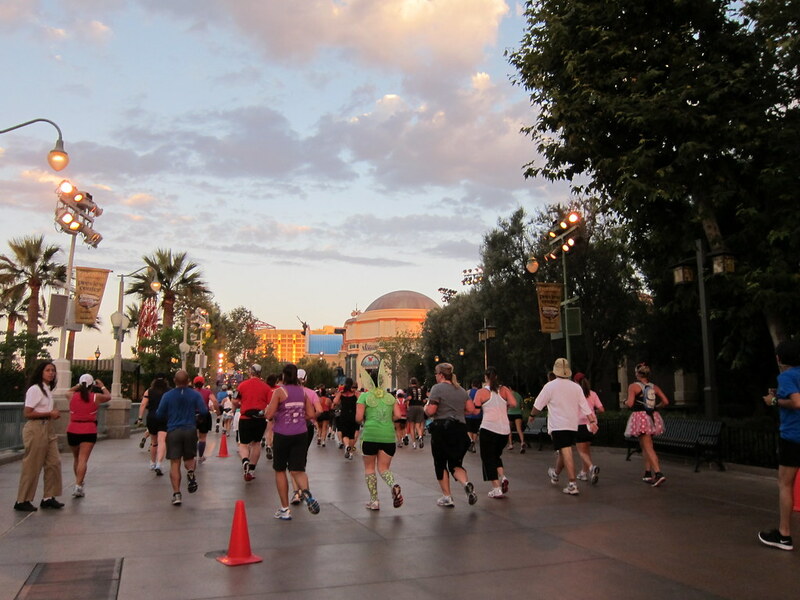 The Green Girl completed the Disney Coast to Coast Race Challenge this morning with the Disneyland Half Marathon. 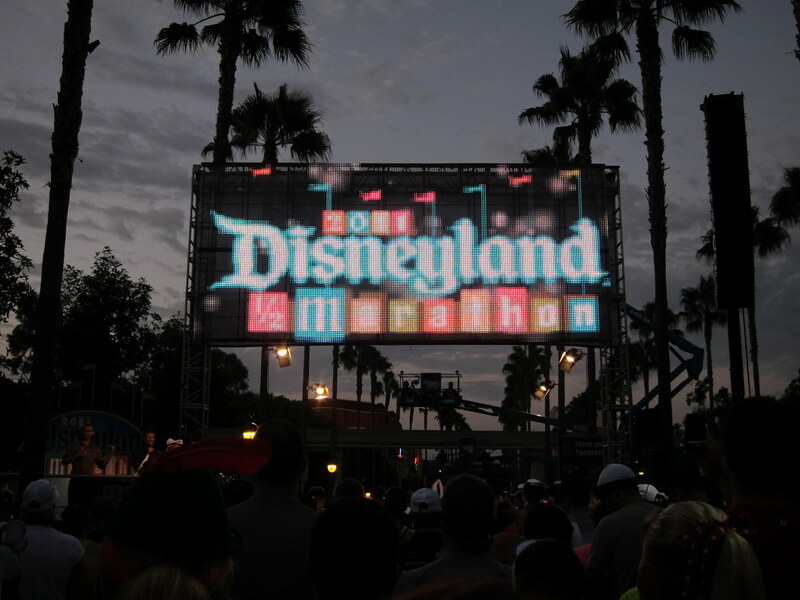 After my long run yesterday, I headed over to Anaheim to pick up my bib and race packet. I was thrilled to be able to meet up with Brenda from Running While Chunky at the race expo. I purchased a Flexr Sports Bottle for Tour DaVita. The bottle comes with disposable and fully biodegradable liners. I am hoping it will offer a sanitary solution for my sports drink consumption. 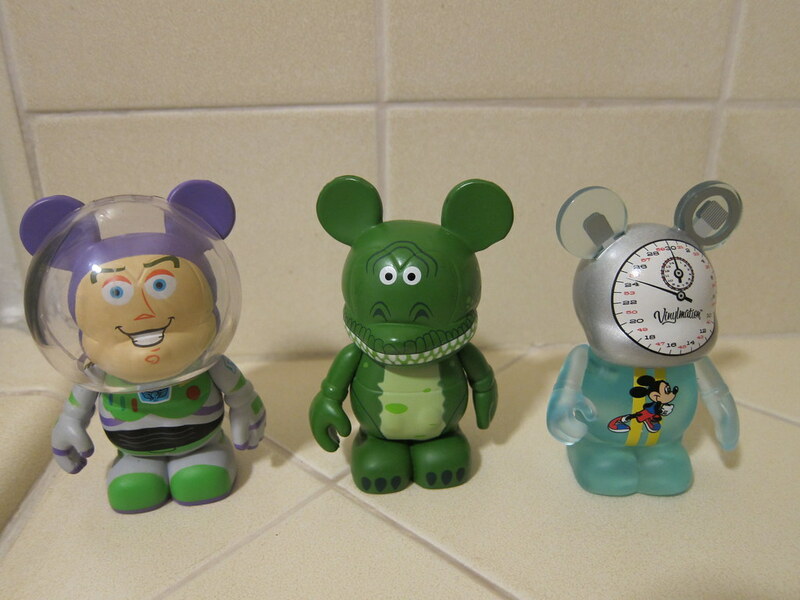 I also picked up a Disneyland Half Marathon 2011 Disney Vinylmation so Buzz and Rex have a new friend. 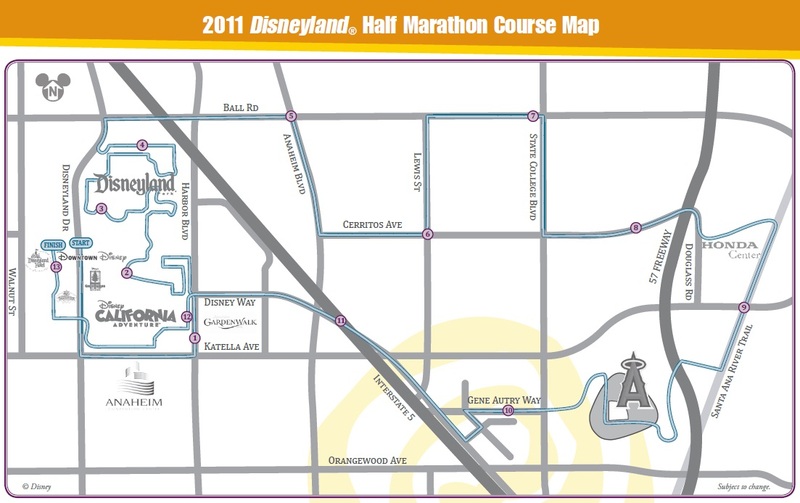 I was conflicted going into this race because part of me wanted to see just how fast I could run a half marathon since I've shaved time off my mile but the Disney lover in me just wanted to take pictures and enjoy the portion of the course inside the parks. Since I've been struggling with sleep deprivation lately, I opted to get as much sleep as possible even if it meant a late start. Luckily, there was ample parking in the structure and I was on my way to the Starting Line in no time. I ran into another Sole Runner, Jonathan, while in line for the porta-potties. He was wearing an awesome Little Green Men shirt and matching visor. Getting to your corral was difficult because of the sheer number of runners but I managed to sneak into Corral E when no one was looking. They kicked the race off with the requisite Star Spangled Banner and some fireworks. 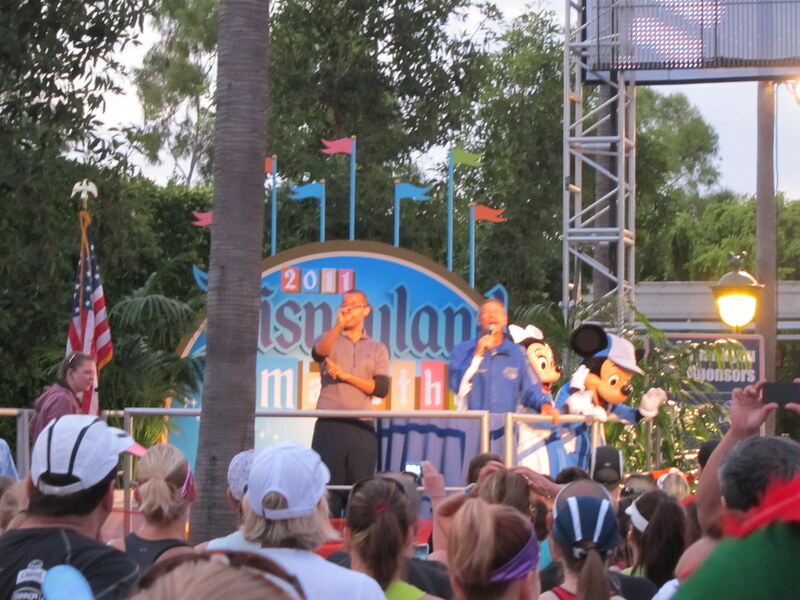 Mickey and Minnie Mouse were also at the Starting Line to wave us into the race. As soon as I crossed the Starting Line, I realized this was going to be a challenging race for me. I kept trying to pass on the left but sometimes I would end up having to come to a hard stop because I was trapped so then I attempted to weave in between slower runners. The morning was also humid and I started sweating profusely. 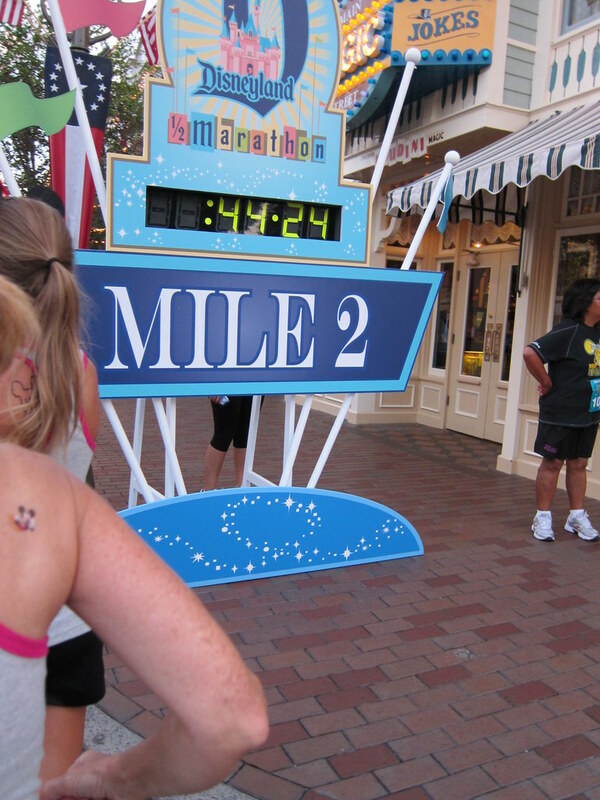 I loved the mile markers. You can always count on Disney's excellent branding skills. Once we exited the parks, I put on some music to keep myself motivated. I was concerned the course would be completely flat but there were some hills to hold my interest. I started slowing down towards the end and I had to really dig deep to push myself. I was determined to stay under a 12:00 mile. I crossed the Finish Line with an official PR finish time of 02:36:44. I'm interested to see how my legs feel tomorrow morning on my last long ride with Lexa before Tour DaVita after doing a little over 14 miles on Saturday and racing today. PR in a crowded race. Wow! Can you imagine what your time could have been if not for all the weaving in and out? Congrats! I am looking for a 'running' water bottle. I will certainly look into Flexr. Awesome PR , congratulations! Running a PR in a crowded race is really fantastic, well done! Sounds like a really fun race...except for the huge field maybe...? Now for that cycling tour! Keep it going! Awesome job! Love a good PR. Sounds like you made the right decision. What a great time!! Congratulations! Great job on the PR!! Congrats on the PR! Getting one in a crowded race is super impressive! Congrats on the PR! This report makes me even more excited for the Goofy Challenge in 2013. I just wish I didn't have to wait so long! Congrats on your PR girl!!!!!! Looks like such an awesome race! Awesome job on the PR! Congrats on the PR! What a fun race! Congrats on your PR!!! 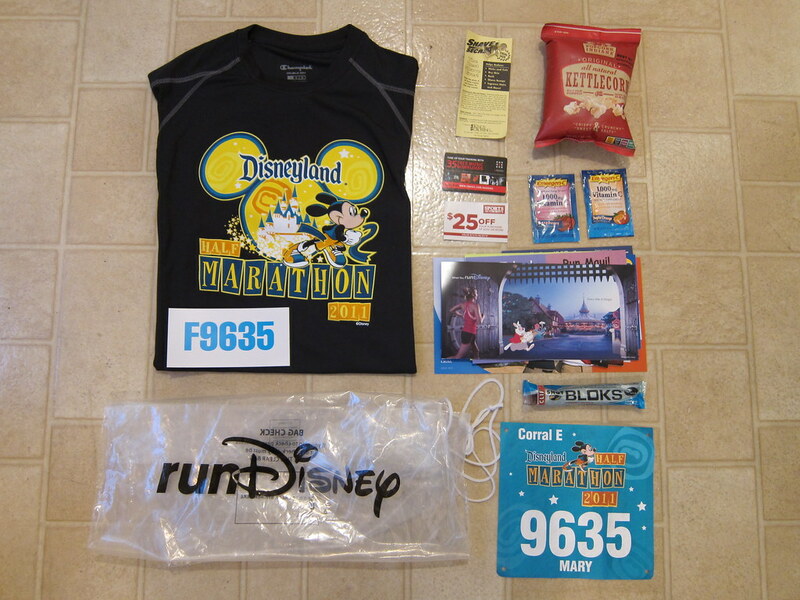 What a fun looking race, I hope I can plan a trip to Disney with the kiddos, around the same time that a race is going on. Great job! sounds like a lot of fun! congrats on the PR! Great job on the PR. I didn't expect it when you began your post. You are sneaky! Congrats on your Coast to Coast medal. Now that you've earned it how do you get it? Also I want to know how you like your new water bottle - sounds interesting. Nice job on the race! I hope to be able to complete the coast to coast soon. looks like you had fun!